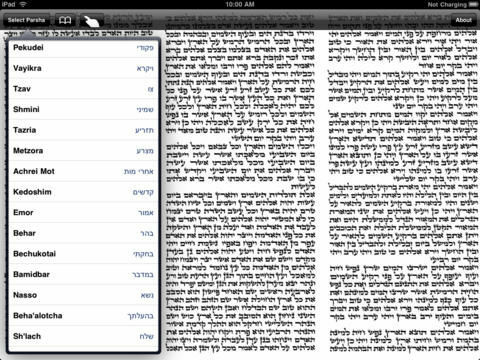 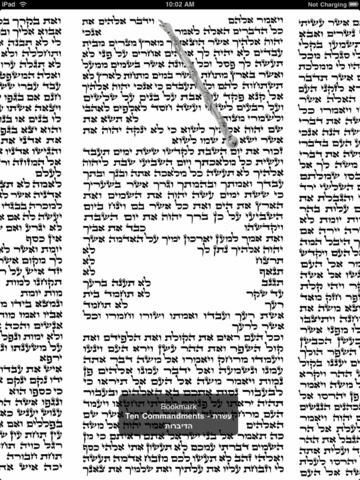 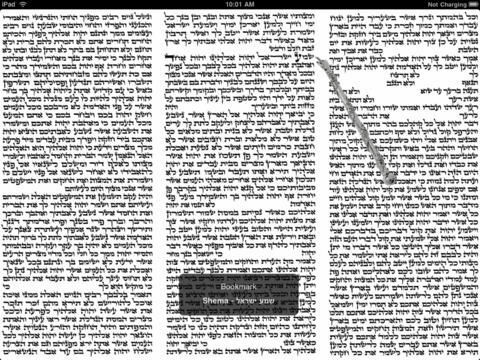 This Torah's 248 columns (amudim) are magically stitched together on your iPad. 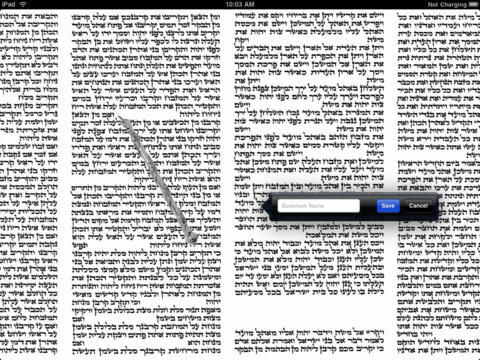 We provide tools to make finding the weekly Torah portion (Parsha), bookmarks (famous selections included) and a pointer (Yad). 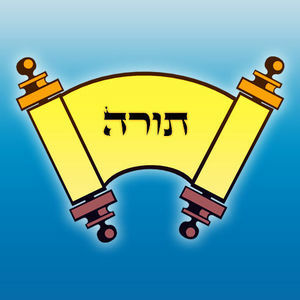 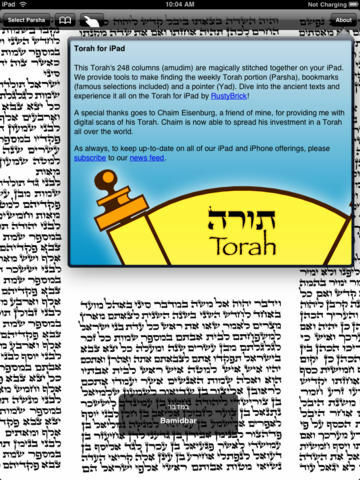 Dive into the ancient texts and experience it all on the Torah for iPad by RustyBrick!